Across all market sectors, Michael P. Furmanek partners with each of his clients to develop and drive unique IP strategies that creatively advance and protect their most valuable innovations. Mr. Furmanek focuses the bulk of his practice on patent-related matters in the mechanical, electrical, and software industries. He has gained more than a decade of experience analyzing prior art issues, preparing patent applications, running strategic patent prosecution, rendering patent-related opinions, and managing IP portfolios of all kinds. This experience has proved invaluable to his successful representation of multiple clients facing the USPTO's new post grant patent office review proceedings (e.g., inter partes review). Mr. Furmanek's intuition, focus and technical familiarity drive success both in the USPTO and other jurisdictions across the globe. Mr. Furmanek credits his ability to consistently provide informed and experienced advice not only to his vast experience in private practice, but also to his formal training in mechanical engineering, his industry experience as an engineer working in an automotive R&D lab, and his prior in-house experience with a prominent automotive company. Mr. Furmanek is routinely identified by his peers as a respected and trusted advisor, having been selected for 5 consecutive years (2012–2016) for inclusion in the Illinois Rising Stars® lists, featuring outstanding young attorneys in the state. 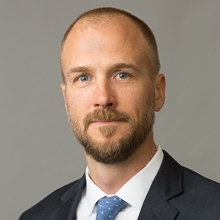 He was selected as an “Emerging Lawyer” in the 2015–2016 editions of Emerging Lawyers Magazine, in which individuals are recognized among the top up-and-coming attorneys in Illinois who are under 40 or have been practicing less than 10 years. Additionally, Mr. Furmanek has been selected as one of the “World’s Leading Patent Practitioners” from 2015-2017 by Intellectual Asset Management (IAM) magazine. After first securing broad and blanketing patent rights on a client’s revolutionary refrigerator shelf product, successfully defended a competitor’s attack on those rights in the U.S. Patent Office’s nuanced inter partes review proceedings. With practical and professional maturity, advised and counseled global consumer safety organization through redeveloping and redefining its internal invention protection program. Successfully secured a multitude of patents for international process controls company by creatively highlighting innovative and novel developments in century-old fields of art. Built international patent portfolio for Fortune 500 pharma company, directed to novel wearable injector developed for automatically administering an infection-fighting therapeutic the day after cytotoxic chemotherapy. Successfully prosecuted numerous international patents to grant, providing blanketing protection for client’s revolutionary hand-held drug delivery device, including various features to facilitate usability and optimize user experience. Mr. Furmanek focuses on preparing and prosecuting patent applications, both domestic and abroad, as well as advising clients on patent portfolio management, patentability, patent enforcement, and related concerns. He also has experience counseling clients on general trademark matters. He is the chair of the Industrial & Mechanical Technologies practice group, an active member of the Firm's CleanTech group, and former elected member of the Firm's Associates' Committee. Mr. Furmanek brings a valued understanding of client needs from his experience before joining the Firm as in-house patent counsel for an automotive supplier in Nagoya, Japan. There, he was responsible for managing the preparation and prosecution of multinational patent applications in a variety of technical fields. Mr. Furmanek received his J.D. from DePaul University College of Law where he became a member of the DePaul Law Review and received the DePaul College of Law Top Scholar Scholarship. Before attending law school, he received his B.S. degree in mechanical engineering from the University of Michigan, Ann Arbor. “Federal Circuit Changes Standard For Evaluating Means-Plus-Function Claims,” Co-Author, Marshall Gerstein Alert, June 18, 2015. “First-to-File: The race to the patent office is on,” Co-Author, The Illinois Manufacturer, Fall 2013. “Trademark Owners: Nine steps to defend your brand on the new Internet,” Co-Author, The Illinois Manufacturer, Fall 2012.